There was a family wedding at Washington, D.C.'s posh Four Seasons Hotel Sunday and Sami Al-Arian was there to celebrate. That's not really news, but the fact that Al-Arian had to seek court consent to be there is a reminder that there's still a pending contempt case against him in Virginia federal court. His attorneys filed a motion to dismiss that case a year ago today, and prosecutors vigorously rebutted the arguments a short time later. It's an unusual circumstance. If U.S. District Judge Leonie Brinkema believed the defense argument – that the prosecution violates an earlier agreement – it's a safe bet that she would have granted the motion. But she hasn't. Yet, she hasn't allowed the government to proceed, either. The case is frozen. The case began in 2006, when Al-Arian already was in custody, serving out a 57-month term for conspiring to provide support to the Palestinian Islamic Jihad (PIJ) terrorist group. Evidence in his 2005 trial showed Al-Arian served on the PIJ governing board. While the trial ended in a mix of acquittals and deadlocked counts, Al-Arian pleaded guilty to the one count of conspiracy in 2006 rather than face retrial. A Virginia grand jury, investigating terror financing by a group Al-Arian worked with, then issued a subpoena for his testimony. A judge granted him immunity in exchange for his truthful testimony. But Al-Arian refused, saying his plea deal was based on his belief that he would never have to provide information to the government. He was cited twice for civil contempt, and then charged criminally in June 2008. His plea agreement makes no mention to any agreement precluding a grand jury subpoena. Nor did Al-Arian or his attorneys mention it when a U.S. Magistrate asked whether anyone had promised him anything else as an inducement for his guilty plea. Defense attorney Linda Moreno mentioned a government pledge to expedite Al-Arian's agreed upon deportation once his sentence was up. The Magistrate then asked Al-Arian directly whether there were any other government promises. "I don't recall anything else," he said. The judge even asked if Al-Arian felt he had been coerced in any way to accept the plea agreement. Al-Arian said he had not. "You think anybody has attempted to trick you?" the judge asked. 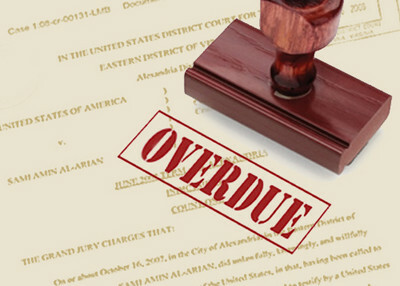 Prosecutors did say the plea binds the Eastern District of Virginia from charging Al-Arian with any crimes known to them at the time, but there was no mention of cooperation or potential testimony. Still, defense attorneys argue there is "uncontroverted evidence that the government induced his 2006 plea agreement by promising that the plea would end all his dealings with the Department of Justice and barred the government from compelling his future testimony." Brinkema was openly skeptical of the case during hearings in early 2009, wondering whether the government used "winks and nods" to trick Al-Arian. "The Court has never heard of the Government agreeing that someone would forever be protected from grand jury subpoena. It is incredible that such a novel provision would not be placed in the written agreement in clear and specific terms." Absent any written proof, the claim hinges on the word of the defendant, a man with a record of lying about his activities and objectives that is pushing 20 years. It starts with the first publicly-known FBI interaction with him in January 1991. Agent Manny Perez interviewed Al-Arian at the request of FBI headquarters. According to Perez, he was dispatched by FBI headquarters after a friendly European intelligence agency reported a PIJ operative was setting up shop in America. Al-Arian assured the agent he had nothing to do with the PIJ and opposed terrorism. Three months later, Al-Arian was helping raise money at a Cleveland mosque, where he was introduced as the head of "the active arm of the Islamic Jihad movement in Palestine" that operated under a benign name "for security reasons." In 1994, Al-Arian registered to vote, swearing he was a U.S. citizen when, in fact, his application for naturalization was under review. He was never granted citizenship, but he voted anyway. It was all a misunderstanding, he said. That same year, he was interviewed by Investigative Project on Terrorism Executive Director Steven Emerson as part of Emerson's research for "Jihad in America," a Polk Award winning documentary about radical Islamist networks in the United States. During the interview, Al-Arian feigned ignorance about the PIJ. Emerson: The State Department calls P-I-J, as well as Hamas, a terrorist group. Al-Arian: Oh … First of all, I, I reject the State Department, you know, whole process of calling who is who. You know I've seen them calling the Sudanese government terrorist. Far from the truth, I think. Many things by the U.S. government I don't agree with. Wiretaps released at his 2005 trial show that Al-Arian spent the first half of 1994 battling with PIJ leadership about the group's future in telephone calls and fax communication. From the day the documentary aired in 1994 until his 2003 indictment, Al-Arian denied any connection to the PIJ in dozens of media accounts. He owned up to some of those lies in the 2006 plea deal. In the fall of 1995, one of the men who worked at a Tampa think-tank Al-Arian founded emerged as the new PIJ Secretary General in Damascus. Al-Arian told a reporter at that time that the man, Ramadan Shallah, was not the same person who had worked with him in Tampa. When the link was confirmed, he "expressed shock and surprise and falsely stated there was nothing Shallah had done while at WISE to indicate any political affiliation." But wiretaps also showed that, like Al-Arian, Shallah was a long-standing member of the PIJ governing board who was engaged in debate over the organization's survival in 1994. "You looked your neighbors in the eyes and said you had nothing to do with the Palestinian Islamic Jihad. This trial exposed that as a lie. Your back-up claim is that your efforts were only to provide charities for widows and orphans. That, too, is a lie. The evidence was clear in this case that you were a leader of the Palestinian Islamic Jihad. You were on the board of directors and an officer, the secretary. Directors control the actions of an organization, even the PIJ; and you were an active leader." Now, after nearly two decades of well-documented doublespeak, Al-Arian insists he was promised something that he cannot produce a record to prove. "The exclusion of a standard plea agreement provision requiring a defendant to cooperate with the government, whether voluntarily or under subpoena, does not establish that the government immunized Al-Arian from future grand jury subpoenas. This contention is especially dubious where, as here, the plea agreement contains an integration clause stating that there are no other promises, agreements, or representations except those set forth in the agreement, and Al-Arian denied at his plea hearing that he pled guilty in reliance on any promises or inducements except for those found in the agreement." Neither prosecutors nor defense attorneys have filed any papers urging Brinkema to rule. It is not clear whether the judge ever intends to act on the pending motions or keep things in limbo.